One of the most popular group of rings within our extensive range would have to be our range of mens wood rings. For some time now, several of these rings have been amongst Alpha Rings best sellers. Our amazing customers repeatedly come back to these rings and decide that these suit their unique needs. But why is that? Lets examine why these wood rings might be as popular as they are…. 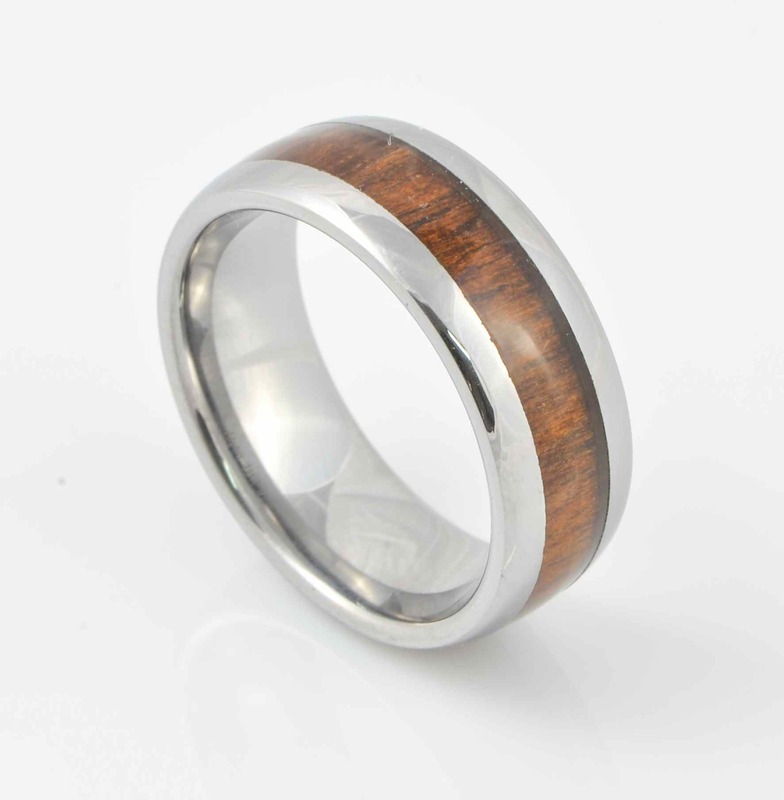 Probably the most obvious attribute of our range of wood rings is the fact that the base is made of Tungsten. This is extremely important. Tungsten is exceptionally scratch resistant and tolerant to normal wear and tear. If you wear Tungsten for many years you’ll find that it just doesn’t scratch. That’s very important when you have an inlay made of wood. The Tungsten ends up being almost perfectly flush with the resin inlay which means that if you scratch the ring along a flat surface, it is going to be the tungsten which bears the first impact. This should offer great protection over time. Alpha Rings uses “Koa” wood for most of its inlays. Koa wood is generally chosen because of the wonderful contrasting patterns that permeate through each piece. Koa wood is quite often the wood of choice for guitars! The unique attributes of the Koa creates exceptional visual textures no matter what angle the ring is held on. The layer of wood is quite thin to create the desired affect, and this is where the protection of a very hard resin inlay is critically important. The wood is not exposed to the surface which makes the ring that much more durable. As we know, wood is very very soft. 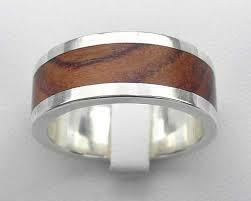 Wood simply wouldn’t stand up to the daily wear and tear that a wedding ring of fashion ring will go through daily. With that in mind, the wood needs to be protected with something hard enough to offer adequate protection, without detracting aesthetically from the product. Alpha Rings uses state of the art resin compounds that offer advanced scratch resistance. The wonderful thing is however, that this does not come at a cost of appearance. The wood will be highly visible underneath this resin compound. The nature of the wood ring products is that although the are extremely durable, nothing is infallible. We recommend using common sense when it comes to protecting your ring. People with manual labor jobs such as bricklayers, concreters and similar, really should not be wearing these rings during their job. These jobs will expose the ring to high levels of abrasion where the ring will almost certainly get scratched. If you really do want to wear a ring in this case, you’d be better off just with a simple domed plain tungsten ring. Alpha Rings prides itself on making high quality, affordable and durable products for its customers all around the world. Our Mens wooden rings have proven to be a range of rings that our customers have embraced. We’ve never had a single customer dissatisfied with one of these rings. Not one of this range has ever been returned due to damage. Given that these are amongst our biggest selling range of rings, we think that’s a fantastic endorsement from our amazing customers!!! Can you use a different wood that I could choose? Something native? 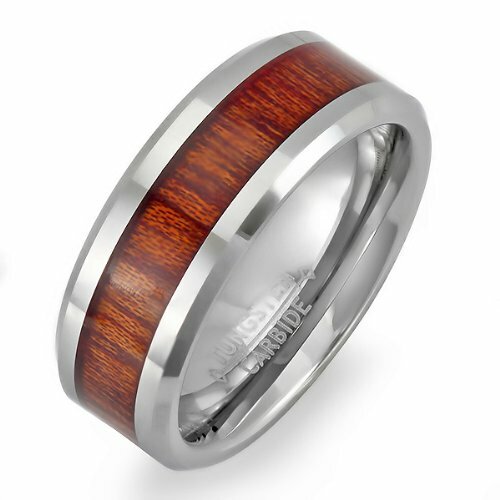 We use KOA wood for most of our rings because of the unique blend of colour and strength that this provides, and how well it works as an inlay to our rings. What type of wood did you have in mind?